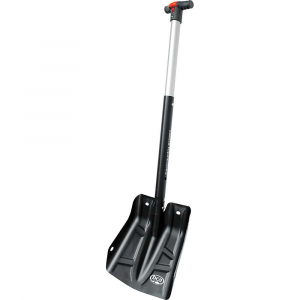 We all know that when venturing out in the snow you must have a shovel... but which one? 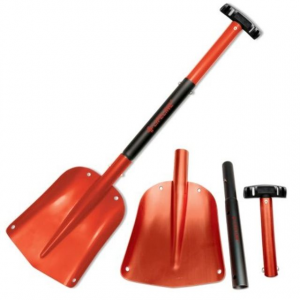 Are you going to be digging a shelter in soft snow, or clearing iced snow, or making a wind block? 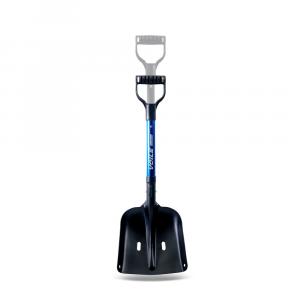 Plastic shovels are light and wide, but ineffective against ice or hard snow, and metal shovels can be heavy and or worthless when digging down through lofty drifts (I know of both!). Welcome then, the Glock e-tool! (yeah, the same gun company). 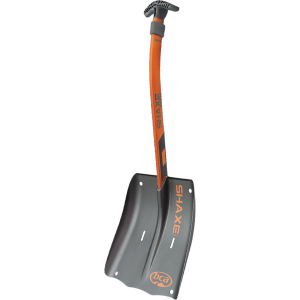 It has a steel head for chipping through those iced over areas, yet with a lightweight polymer telescoping handle, multi angle adjustable scoop, and (for the mcgyver's) a steel saw in the handle. But wait, the construction contains no welds nor rivets for added strength, the head adjusts with an easy grip star-pattern knob, and the extended handle has a button endcap for better maneuvering. With all these innovations no wonder it is the choice of the Austrian alpine troops. 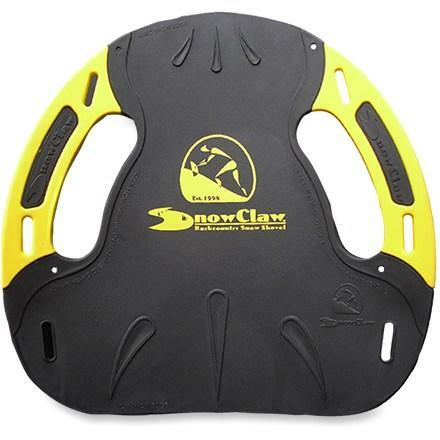 When patrolling trails in snow this is one of the must-have's in my pack! The price is really competitive as well. The weight of the steel head is offset by the lightweight polymer handle, and the saw in the handle is a bonus (which can double as a screwdriver). 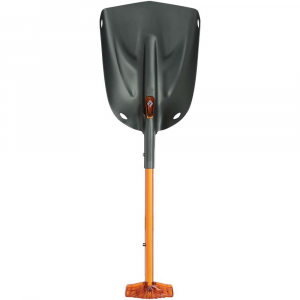 It may not be the fastest backpacking shovel nor lightest, but it's undeniably the most versatile and well constructed. Now it's the only one I own! The Glock E-Tool is not available from the stores we monitor.